IRA stands for Individual Retirement Account, and it's basically a savings account with big tax breaks, making it an ideal way to sock away cash for your retirement. A lot of people mistakenly think an IRA itself is an investment - but it's just the basket in which you keep stocks, bonds, mutual funds and other assets. Unlike 401(k)s, which are accounts provided by your company, the most common types of IRAs are accounts that you open on your own. Others can be opened by self-employed individuals and small business owners. 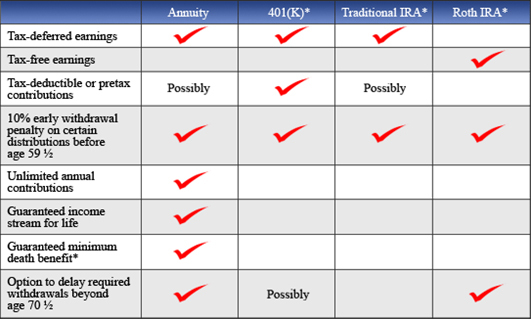 There are several different types of IRAs, including traditional IRAs, Roth IRAs, SEP IRAs, and SIMPLE IRAs. Unfortunately, not everyone gets to take advantage of them. Each has eligibility restrictions based on your income or employment status. And all have caps on how much you can contribute each year and penalties if you yank out your money before the designated retirement age. This is no April Fool’s joke: After a taxpayer reaches age 70½, he or she must begin taking required minimum distributions (RMDs) from traditional IRAs and qualified retirement plans, like a 401(k), by April 1 of the following year. And then the taxpayer must continue RMDs for each succeeding tax year. What’s more, the penalty for failing to take an annual RMD is equal to a staggering 50 percent of the amount that should have been withdrawn or any shortfall. For instance, if a client turned age 70 on June 15, 2014, he or she must take an RMD for the 2014 tax year by April 1, 2015 and then another one for the 2015 tax year by December 31, 2015. Missing either one can be critical. Assuming that a client was required to withdraw $10,000 for 2014 by April 1 and ignores that obligation, he or she will owe a $5,000 penalty in addition to the tax due on the required amount. The amount that must be withdrawn is based on the taxpayer’s account balances on December 31 of the prior year and IRS-approved life expectancy tables. It sounds easy enough, but things can get complicated in the real world. Typically, a client in their 70s or 80s won’t have just one IRA or one qualified retirement plan account. They will likely hold multiple accounts from a number of financial institutions and previous employers. In that case, you have more flexibility with RMDs from traditional IRAs than you do with qualified plans. If you hold multiple IRAs, you can choose to make a single withdrawal based on the combined account balances of all the IRAs or divvy up the total RMD any way you like. Similarly, if you have inherited multiple IRAs from the same decedent, you may choose to combine the life expectancy-based distributions from those IRAs and withdraw the total RMD from a single account. However, if you hold multiple qualified retirement plan accounts, you can’t combine the account balances for RMD purposes. You must take an RMD from each plan account separately based on the balance in the prior year. There’s no mixing and matching allowed. One exception: If a client has multiple 403(b) plan accounts from working in the nonprofit sector, he or she can combine the 403(b) balances for a single withdrawal. But the 403(b) accounts can’t be combined with 401(k) or other plan accounts. The good news is that you don’t have to take RMDs from a single Roth or multiple Roths during your lifetime. 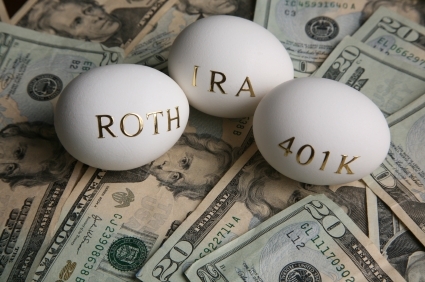 However, heirs of inherited Roth IRA assets are subject to RMD rules. 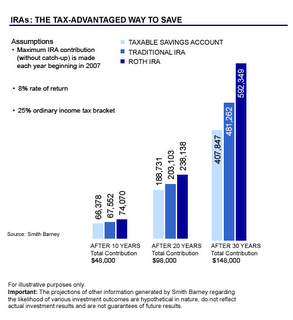 A traditional IRA is a tax-deferred retirement savings account. You pay taxes on your money only when you make withdrawals in retirement. Deferring taxes means all of your dividends, interest payments and capital gains can compound each year without being hindered by taxes - allowing an IRA to grow much faster than a taxable account. Traditional IRAs come in two varieties: deductible and nondeductible. Whether you qualify for a full or partial tax deduction depends mostly on your income and whether you have access to a work-related retirement account like a 401(k). A Roth IRA is a retirement savings account that allows your money to grow tax-free. You fund a Roth with after-tax dollars, meaning you've already paid taxes on the money you put into it. In return for no up-front tax break, your money grows and grows tax free, and when you withdraw at retirement, you pay no taxes. That's right - every penny goes straight in your pocket. There are a few other benefits too. A SEP IRA is a type of traditional IRA for self-employed individuals or small business owners. (SEP stands for Simplified Employee Pension.) Any business owner with one or more employees, or anyone with freelance income, can open a SEP IRA. Contributions, which are tax-deductible for the business or individual, go into a traditional IRA held in the employee's name. Employees of the business cannot contribute - the employer does. Like a traditional IRA, the money in a SEP IRA is not taxable until withdrawal. A SIMPLE IRA, or Savings Incentive Match Plan for Employees, is a type of traditional IRA for small businesses and self-employed individuals. As with most traditional IRAs, your contributions are tax deductible, and your investments grow tax deferred until you are ready to make withdrawals in retirement. Unlike SEP IRAs, SIMPLE IRAs allow employees to make contributions. What makes a SIMPLE IRA unique is that the employer is required to make a contribution on the employee's behalf - either a dollar-for-dollar match of up to 3% of salary or a flat 2% of pay - regardless of whether the employee contributes to the account. SIMPLE IRAs have higher contribution limits than traditional and Roth IRAs, and it's cheaper to set up and run a SIMPLE IRA plan than it is to administer many other workplace retirement plans.